Back in January, I called out Gatorade’s Bolt! 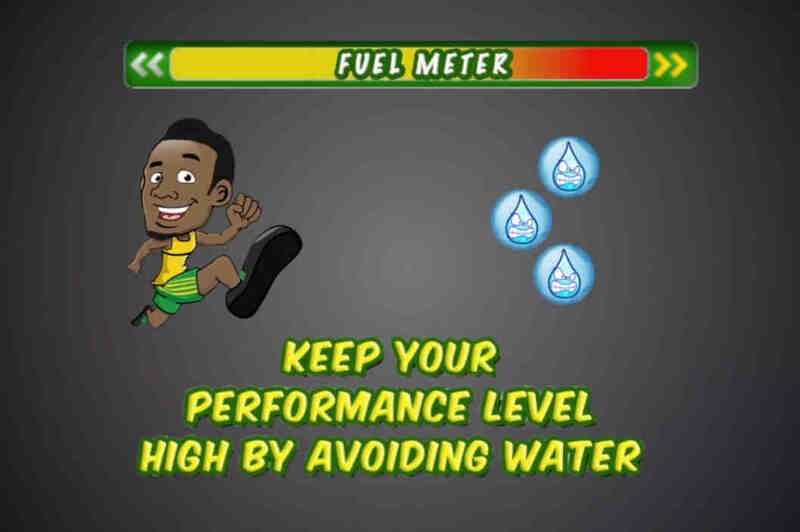 mobile game, which told young players to “Keep Your Performance Level High by Avoiding Water.” The game had players maneuver Olympian Usain Bolt’s character through a course in the fastest time possible, gathering Gatorade along the way and avoiding drops of water. Now, thanks to New York State’s Attorney General Eric Schneiderman, Gatorade and parent company PepsiCo have met with consequences for their actions. Soon after I wrote about this for Civil Eats, virtually all information about the Gatorade Bolt! game app disappeared from the Internet. I then sent a letter of complaint about the game’s messaging to Schneiderman’s office in the hopes that he would respond to the campaign. The Attorney General believes that the Bolt! App, which was promoted in social media outlets by professional athletes, including the Olympic athlete Usain Bolt, was misleading in a number of ways, particularly to children and adolescents. The Attorney General believes that the marketing of the App and the App itself created the misleading impression that (a) drinking water will hinder and/or adversely affect athletic performance; (b) drinking water is to be avoided in favor of drinking Gatorade; (c) athletes drink Gatorade and avoid water consumption; and (d) water consumption in general should be avoided. While PepsiCo and Gatorade have neither admitted nor denied any of the allegations, the companies agreed to no longer make the Bolt! app available for download. In the future, the company says it will not make any other app or electronic game that disparages water. Gatorade also agreed to pay $100,000 to the Partnership for a Healthier America’s Drink Up! initiative, First Lady Michelle Obama’s campaign to encourage kids to drink more water. And, this is important: Gatorade specifically designated the funds to promote consumption of non-branded water in New York State. While $100,000 is pocket change for companies the size of Gatorade and PepsiCo, the terms of the letter agreement appear to put the kibosh on an outrageous message. This win should inspire others to speak out against deceptive marketing tactics and file complaints with their state Attorney General.